As I drive around the north suburbs, I am noticing many roadside trees with a spray-painted mark or a ribbon around the trunk. As an arborist, I know that these are ash trees marked for removal because of the emerald ash borer (EAB). The emerald ash borer is beginning to hit our area hard, and many municipalities are trying to stay one step ahead of this ash-tree-killing insect by proactively removing these doomed ashes. If you have an ash tree on your property you should be monitoring for this pest, as it is only a matter of time before the borer finds your tree. In winter, the easiest way to identify if your tree already has EAB is to look for woodpecker damage. From a distance, woodpecker damage looks like lighter colored patches on the trunk, as you can see in this picture. Woodpeckers make these marks as they feed on the tasty (to them) borers that are just under the bark. 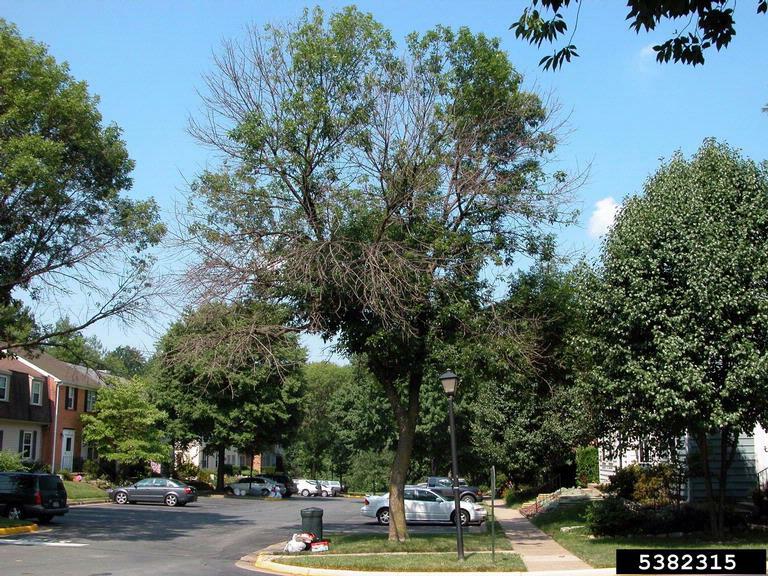 Once you start seeing evidence of EAB activity, your tree will most likely suffer severe dieback within three years. There is an insecticide treatment that can save your tree, but treatments need to begin before your tree is infested. Trees for 2050, a longer list of recommended plantings due to climate change and for urban planning.